A generator in space, 150 million km away, heats the Earth, structures its atmosphere and organizes the surrounding space environment. The Sun’s energy output exhibits pronounced variability on all time scales, from minutes to 11-year cycles and longer, with myriad Earthly consequences all the way from its surrounding space environment, to the surface. How might the Sun affect navigation, communication and Earth-orbiting objects that can impact economic and security operations? How much of atmospheric ozone depletion and surface warming is solar rather than human-induced? How well can we forecast future changes in Earth’s extended environment for societal, economic and security applications? Scientific curiosity and societal utility both call for a robust understanding of the Sun-Earth system—our home in space that extends well beyond the surface where we live. Judith Lean is Senior Scientist for Sun-Earth System Research in the Space Science Division of the Naval Research Laboratory. After completing her Ph.D. at the University of Adelaide, Australia, she worked for CIRES at the University of Colorado, Boulder, and in 1988 joined the U.S. Naval Research Laboratory. She is the recipient of a number of NASA and NOAA research grants, in collaboration with other SSD and U.S. scientists, and is currently a Co-Investigator on the SORCE, TIMED/SEE and SDO/EVE space missions. The focus of her research is understanding the Sun’s variability using measurements and models, and determining the impact of this variability on the Earth system, including space weather, the ozone layer and climate change. She has published more than 100 papers in journals and books, and delivered more than 250 presentations documenting her research. A member of the AGU, IAGA, AAS/SPD and AMS, Dr. Lean was elected a Fellow of the American Geophysical Union in 2002, a member of the National Academy of Sciences in 2003 and a member of the American Philosophical Society in 2013. 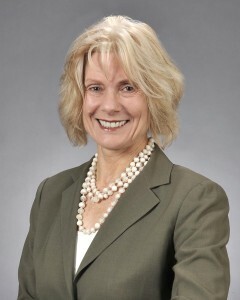 She has served on many NASA, NSF, NOAA and NRC advisory committees, including the NRC’s 2012 Solar and Space Physics Decadal Survey and the Panel on Climate Variability and Change of the 2007 Earth Science and Applications from Space Decadal Survey. She is currently a member of the NRC’s Committee on Solar and Space Physics and the Committee on a Framework for Analyzing the Needs for Continuity of NASA-Sustained Remote Sensing Observations of the Earth from Space.